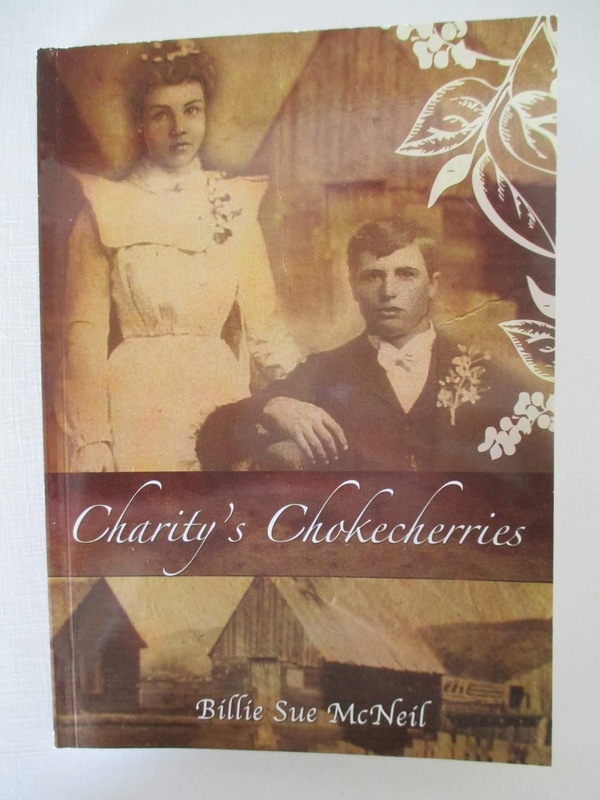 The Chokecherry Festival is Right Around the Corner! 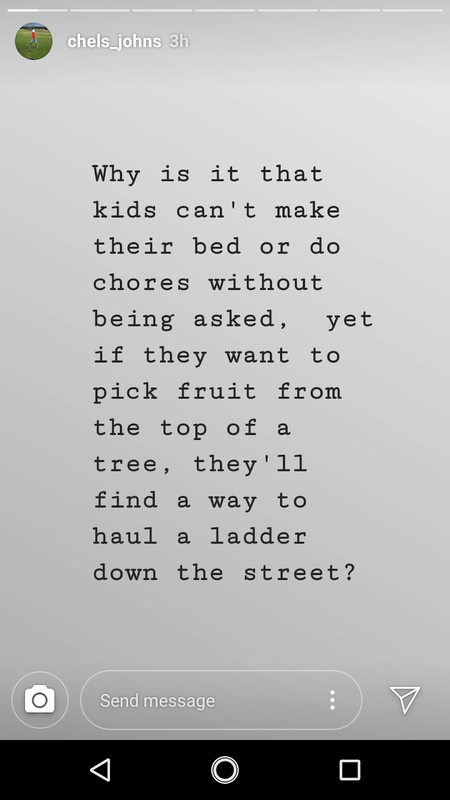 So...here's a "My Story" post from my daughter's Instagram. 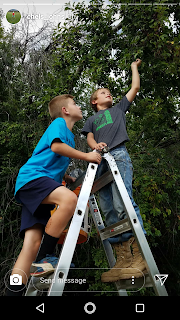 What she didn't know was these thoughtful grandsons and one granddaughter came to me and told me they would like to pick chokecherries without me paying them. 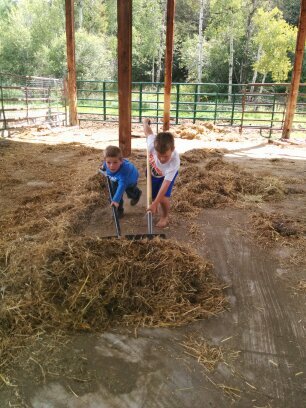 They insisted they wanted to do this "to help me out." They all stayed home from a football game and worked on their little surprise for me! I think they are pretty clever in addition to being thoughtful! 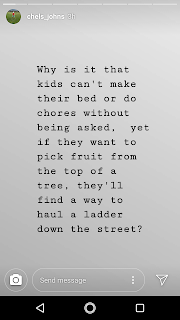 I have to say I'm pretty impressed with their thinking skills to get the ladder down the road to pick without the help of an adult! Country roads are so nice for that type of thing! You see, the higher the berries, the bigger and more ripe they are! 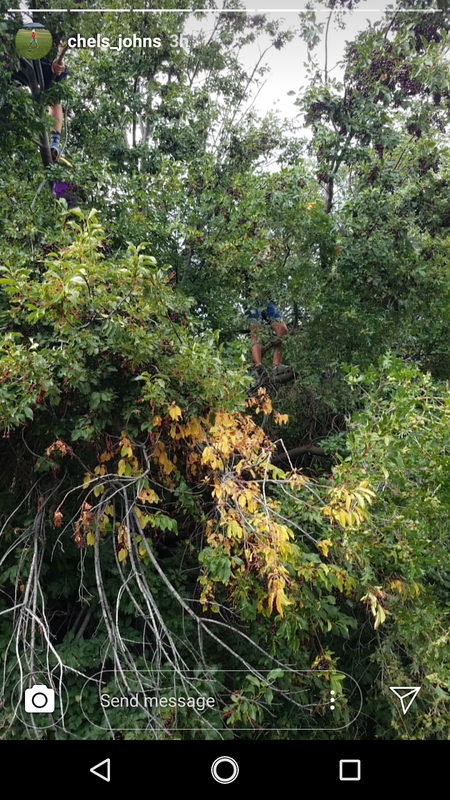 The branches of chokecherry trees are not very big and as they have climbed them, I have voiced my concern for their safety! I have to say, these kids listen pretty well...sometimes...as there are a couple who have the propensity to be pretty daring! I love these kids! They have even come up with a pretty great tasting Chokecherry Julius they want to market at the Festival! While I was away at the local high school football game, enjoying a rest, these grandkids picked nearly a 5-gallon bucket full of chokecherries and I found the berries waiting in my kitchen to be juiced! 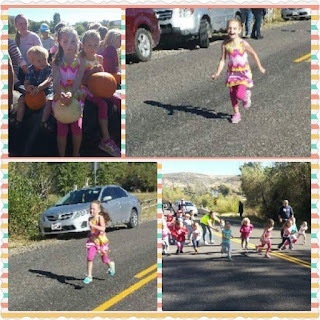 5-K Run - Registration at Contact Giselle Rasheta, 435-513-0834. 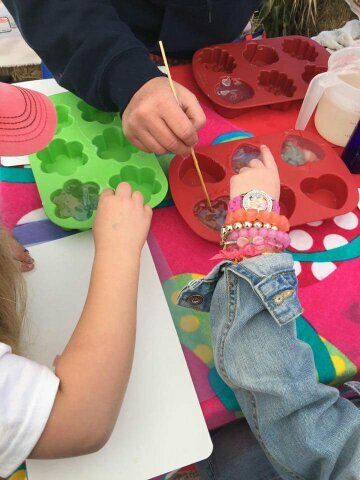 Kids Games and Activities all day. 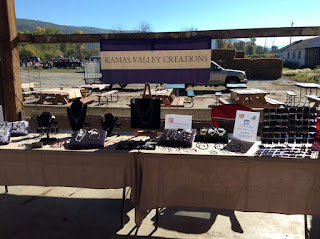 Boutique all day - The Boutique is lined up with vendors, so there will be plenty of exciting items!Of course, you will find chokecherry, elderberry and even hawberry jelly and all sorts of gourmet jams. If you are interested in being a vendor, call Billie Sue McNeil - 435-513-4607. Food Court - Great food and as always...chokecherry condiments as garnish! 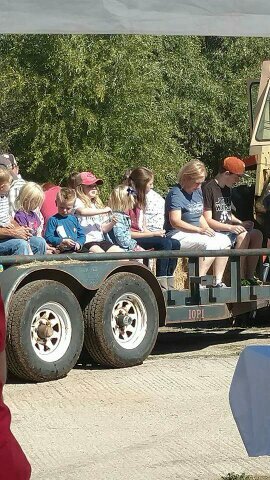 The famous Pumpkin Patch Hay ride throughout the day. The haymaize throughout the day. Entertainment - The Rhodes Valley Band will provide great entertainment from 3 - 5 pm. You really need to hear this group! 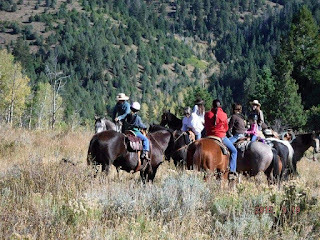 The Trail/Poker/Lunch Trail Ride - Jodi McNulty - 435-513-9799 or JoDe Miles - 435-640-8250, for those who love to see the beautiful fall countryside from the back of a horse and play a hand of poker to win exciting prizes topped off with a fabulous lunch. $20 /adult rider, lunch, poker hand and great prizes. $10 child/lunch, Old Maid hand and great prizes. and plan on spending a beautiful fall day with us! Beginning at 9 am - 5:30 pm. For questions, call me anytime! 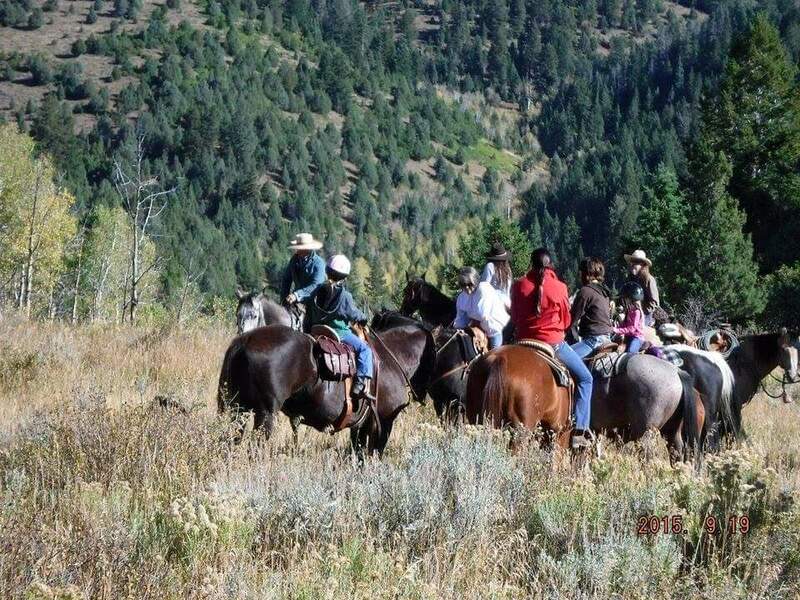 Trail Ride - 8:30 am Registration and 9:15 am Hit the Trail $20 per wrangler. and some new tasty jelly/jam treats. 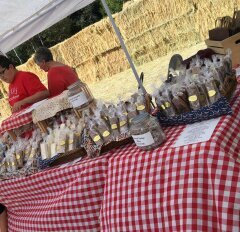 Food Booth - Melt in your mouth homemade cinnamon rolls beginning at 8:30 AM. Wonderful fall soups and chili, breads and chokecherry jelly or hone butter, hot dogs, chili dogs, chili baked potato, drinks throughout the day. Kids Games - Activities to keep the kids involved and happy throughout the day! Pumpkin Patch Hay Ride - A hay wagon ride to the pumpkin patch where you can choose your own pumpkin ... all day! 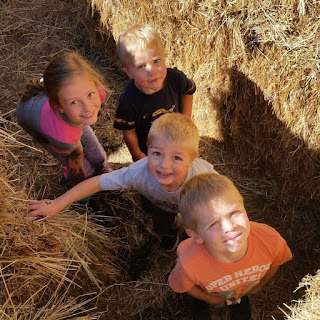 Hay Maize - Wind your way through the crazy hay maize and smell that sweet hay - open all day! 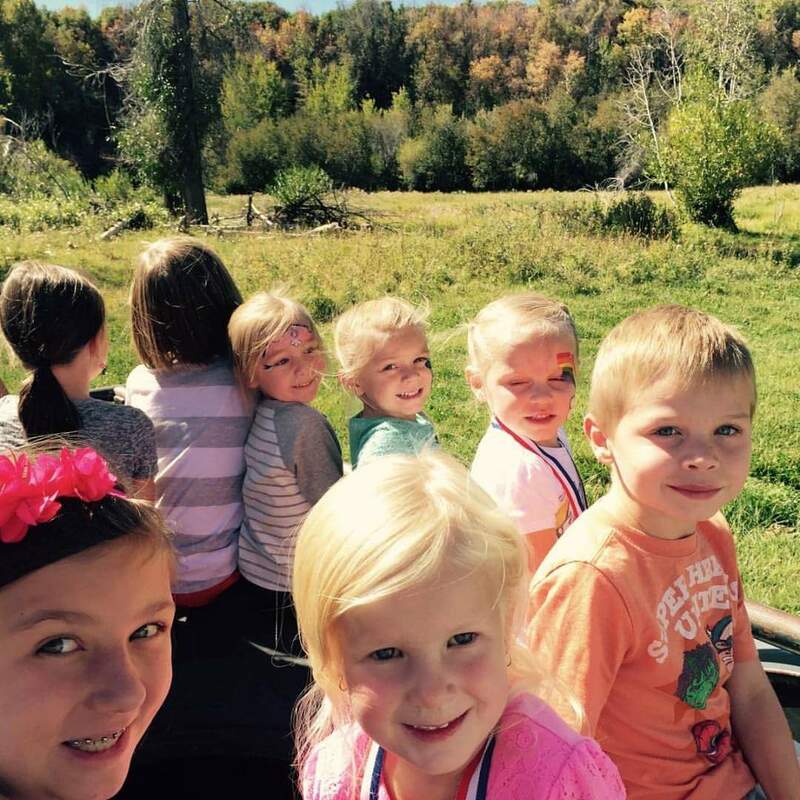 Come and share a great fall day on the farm with us! 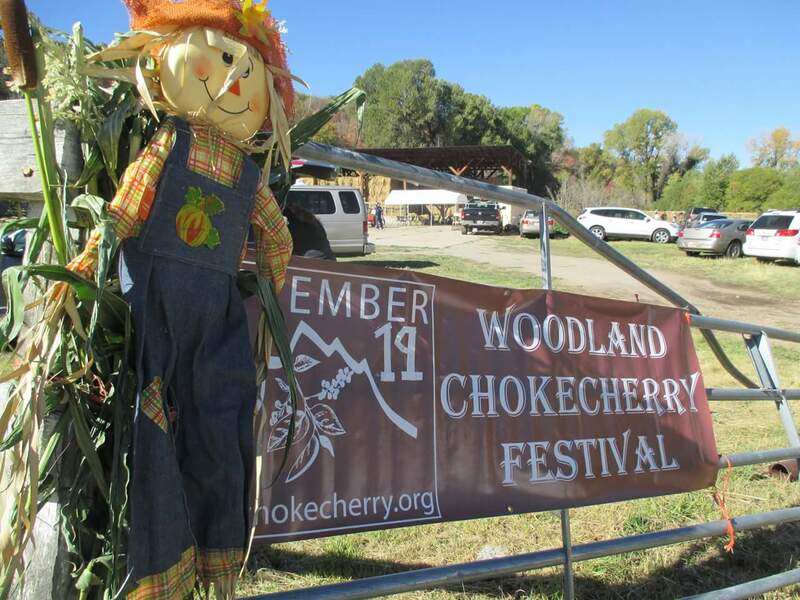 The Chokecherry Festival time is one week away! I still have jellies and jams to make and the barnyard to clean! Where does my time go? Here's a couple of well-kept secrets...I have a few new flavors of jams and jellies I've been testing, and I'm so excited! Side note: This picture is from the past, so the REAL date is September 16th this year! The very day I went to the farm to begin my "clean-up," I received a call from a gentleman with a very kind voice. He asked if I made hawberry jam, to which I replied, I did not. He recalled this wonderful tasting jam that his Mother used to make and I told him I did not have a recipe. He told me how his mother made it...right down to the last detail! Well, there I was at the farm, standing on the creek bank under a hawthorn tree! The only thing I knew they were good for was a very deep, non-healing wound from the big, sharp thorns every where on the tree. I knew I didn't want to be anywhere near the tree! I remembered the voice of the man who I could visualize as he told me lovingly of his mother and her wonderful tasting jam. I knew I must try to replicate it for him! My hands shot up in the branches (being careful not to get near a thorn) and I begin picking! 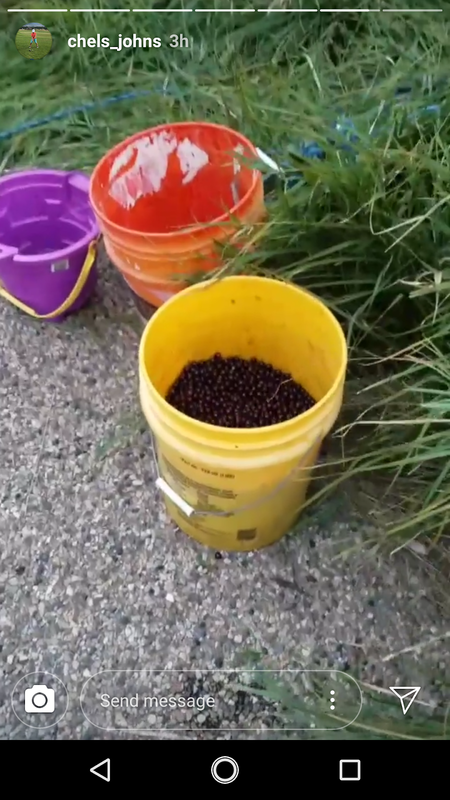 I had no where to put the berries, so I set my handfuls on the ground and ran to my husband's old "Bubba" farm truck. I searched for a bag of some kind and ended up taking some bolts out of a plastic bag and throwing them in with a bag of nails (he'll never know - right?) I ran back to the tree and picked enough berries until I thought I had enough to juice for a batch of jelly. Let me tell you....this jam is to die for delicious! I can't wait for him...and for you...to come and try a bottle of this beautifully red, sweet--but not too sweet--jam! 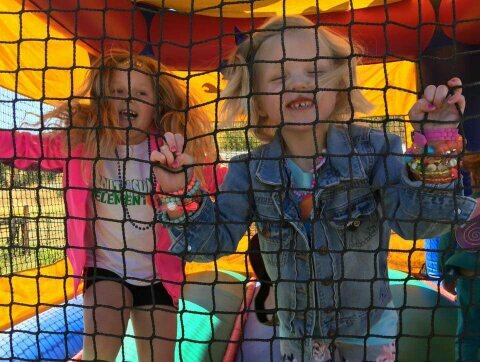 Last year at the Festival, I had a couple of guests come to my booth searching.... When I asked if I could help them find something, they responded they had been directed to come to the Festival for the Chokecherry Wine! I laughed and asked where they received their information! When they told me, I knew this was a practical joke being played on me by a dear friend. This dear friend just happens to make his own Chokecherry Wine! Well, I coaxed him out of a bottle of his precious blend and created a new Vino Chokecherry Jelly! Ok -- let me just say, this stuff is divine! Joke is on him, because now he has to supply me with his good stuff so I can supply you! This is definitely a gourmet taste treat you will want to sit down to experience, close your eyes, and be prepared for a taste bud sensation! 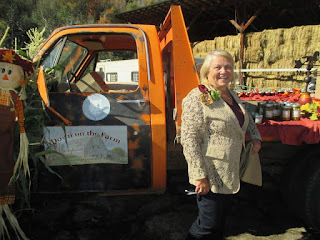 Last note -- a couple of years ago, I attended a farm seminar with my husband. One of the speakers told us that less than 5% of Americans are involved in farming today. This shook my world! A life that I know and love and have so many fond memories locked away, and just a tiny fraction of people are able to experience it! The Chokecherry Festival is not housed in a lovely, state of the art building nor in a brand new ranch barn. The Festival is a "real" look at farm life and the everyday happiness and clarity that the life brings. Lay aside your normal pressures of the day and come share a day "Down on the Farm" Look to the left sidebar for the schedule -- and please come and share a wonderful day with us at the farm! YES! It IS that time of year again! How often do we hear that....however....for me it means something entirely different! 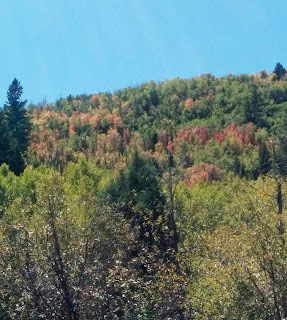 When I begin to see the tiny little clusters of green berries hanging from the trees on the side hill, slowly taking on a red, then burgundy color, I know.... it's that time of year again! 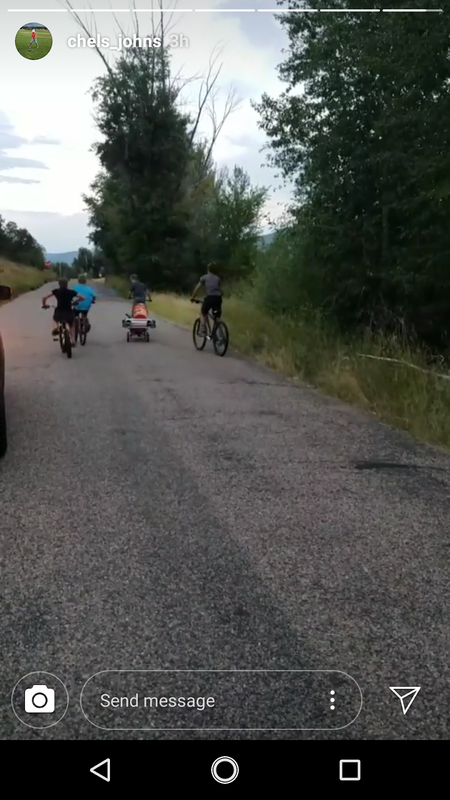 sound of an occasional car passing by on the road below. From my perspective...I love my life in the country! I am truly a "farm girl!" I love sharing a bit of my country life with you and the peace I feel. 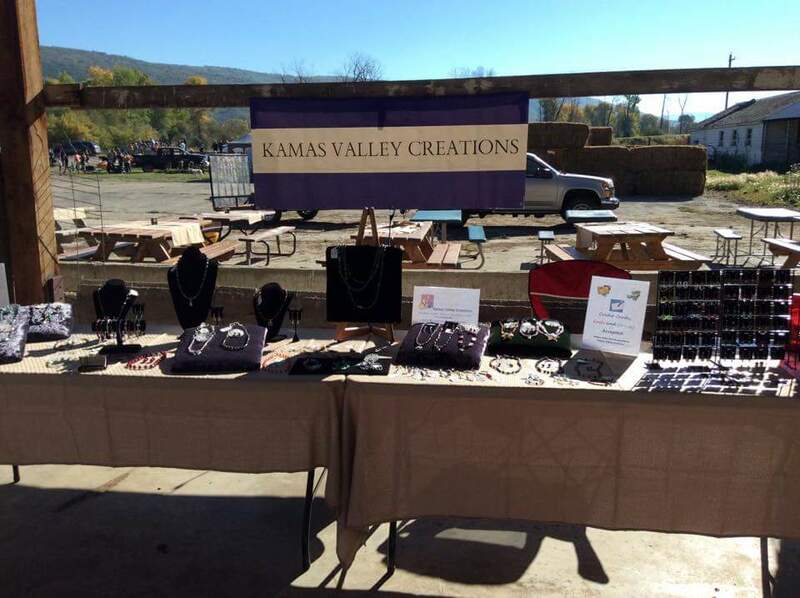 The Chokecherry Festival allows me that opportunity and I'm glad you love it too! Circle Saturday, September 16th , on your calendar for the 2017 celebration. 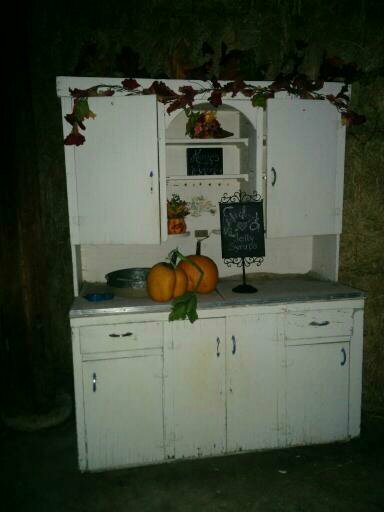 This old fashioned, farm-house cupboard will be filled as full as possible with flavorful chokecherry jelly and syrups...just waiting for you! When you step through my front door, the odor of raspberries, peaches, jalapenos, strawberries, fresh rosemary, sage and basil fill the air! I thoroughly enjoy tasting every new recipe idea I come up with...and I've got some new ones for you to try this year! My "farm-boy" husband will be on hand to take you on a wonderful ride to pumpkin patch! 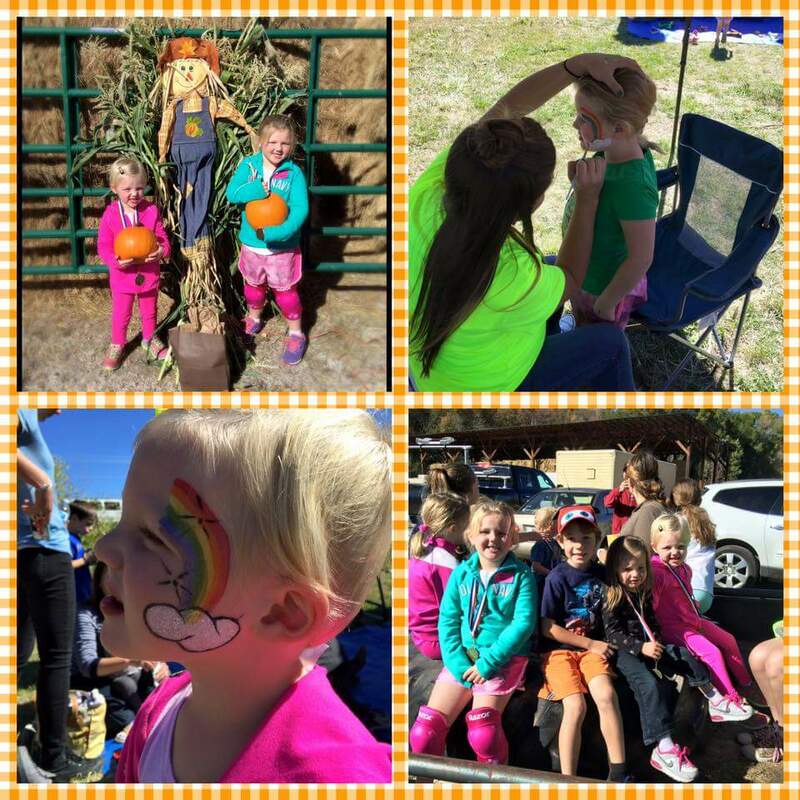 There's always plenty of fun for the kids, while the parents stock up on the famous "Fudge Fairy" delicious goodies! I'll add the schedule soon, but save the date - Sat. Sept. 16th - and be prepared to enjoy a beautiful fall day in the country! 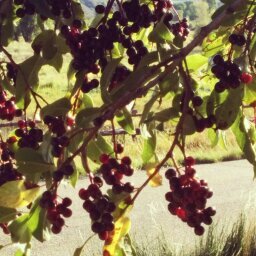 See you soon - I'm out picking chokecherries! The Trail Ride is under the direction of Jodi McNulty, JoDe Miles and Jen Brown this year! I know they are excited about the plans and hope there are many who will join them! 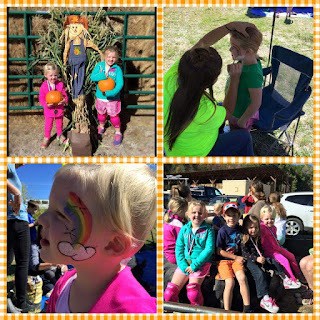 Call Jodi @ 435-513-9799 or JoDe @ 435-783-2493 for sign-up and information! The 5-K Run and the Kid's Fun Run are headed up by Giselle Rasheta and others. For registration and information, call 435-513-0834. The Boutique will be up and running by 9:30 with lots of interesting vendors, and of course, my chokecherry jelly and syrup! And...yum! 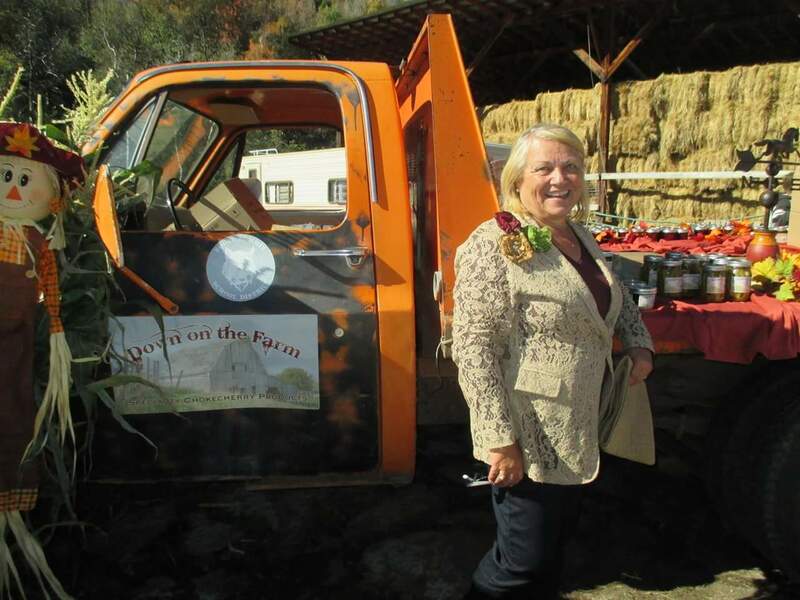 The Food Court is under the direction of Billie Jo Butikofer this year! Knowing her skill with delicious food makes me hungry as I sit here writing! Of course, the Hay Maize will be up and running and it will be a challenge to get from one side to the other! The Kids' Games will be hosted by the South Summit Drill Team this year, so gather up all the kids you can find and come see what fun these talented girls have planned! Please cross your fingers and say your prayers that the weather will hold and be beautiful for us! Just in case, I have bought a huge tent to cover us -- whether we'll need it for rain or shine, only Mother Nature knows! I can't wait to see all of you! 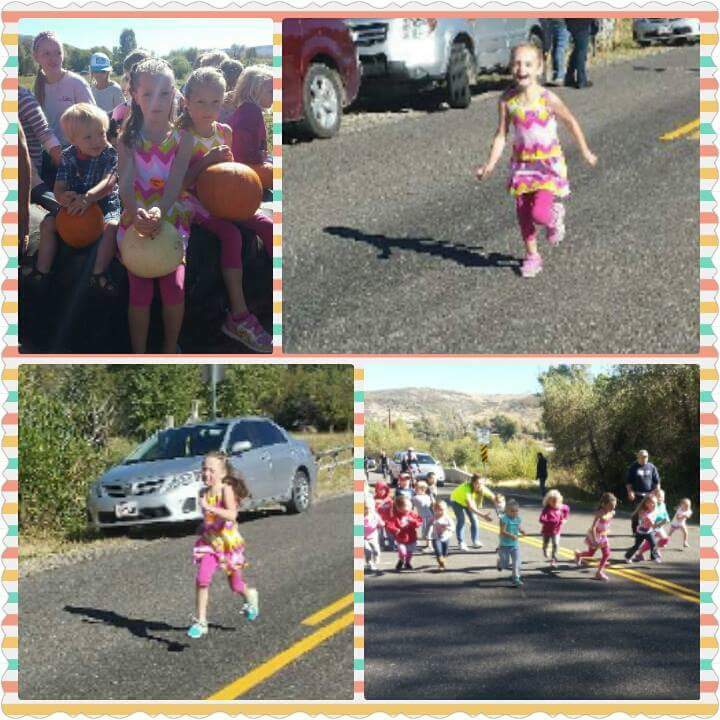 Come enjoy the most scenic 5K in the Kamas Valley! Runners will be shuttled to the top of Bench Creek, and they will run West along Bench Creek Rd back to the old Woodland Church Farm. 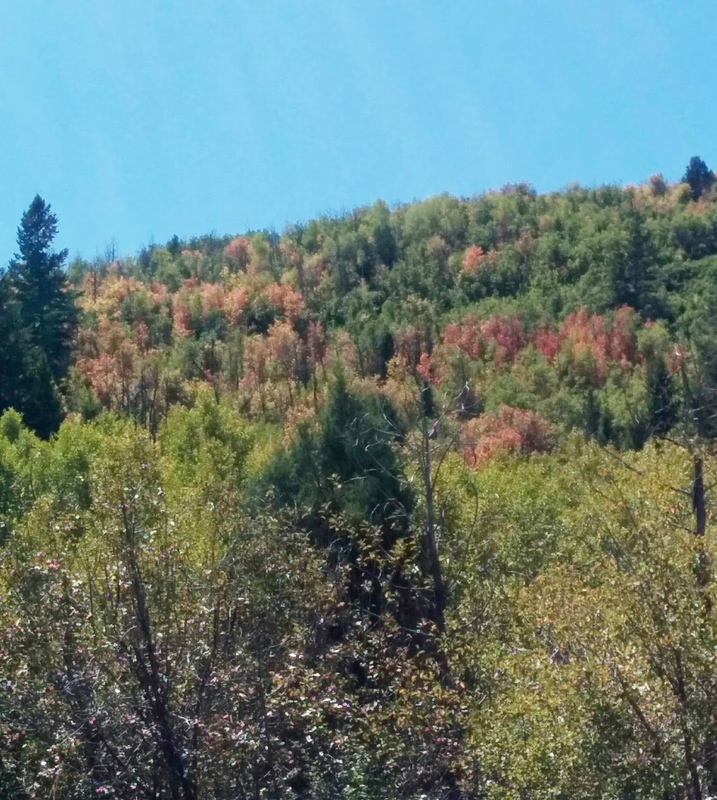 Runners are sure to catch some fall leaves or a few deer along their way. Water station provided, t-shirts, prizes, and raffles. $20 each. Day-of registration is also available, but t-shirts may be limited. This year's race will serve as a fundraiser for competitive dancers at Body Motion Dance Company. This year's registrations will be limited to around 70 runners. Register now! Come join us for a free kid's race. Divided by age and gender, runners compete for beautiful trophies. All participants receive a prize. Pre-registration through the 5K link is appreciated to allow adequate prizes for all participants. Check-in will begin around 9:30 as the 5K starts to wrap up. The festival will be held at the Church Farm on Bench Creek Rd, just past the Woodland Church. This year's festival will take place on Saturday, September 19th!